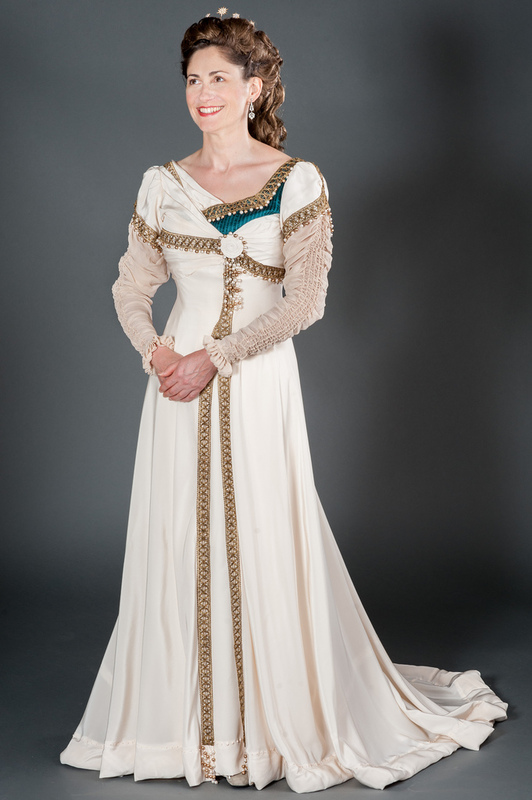 Today's interview is with another fabulous - and famous - historical costumers, Cathy Hay. Cathy is well-known for her amazing projects, such as the Peacock Dress, and also being the savvy business lady behind our favorite online costuming eMags, Your Wardrobe Unlock'd, and Foundations Revealed. 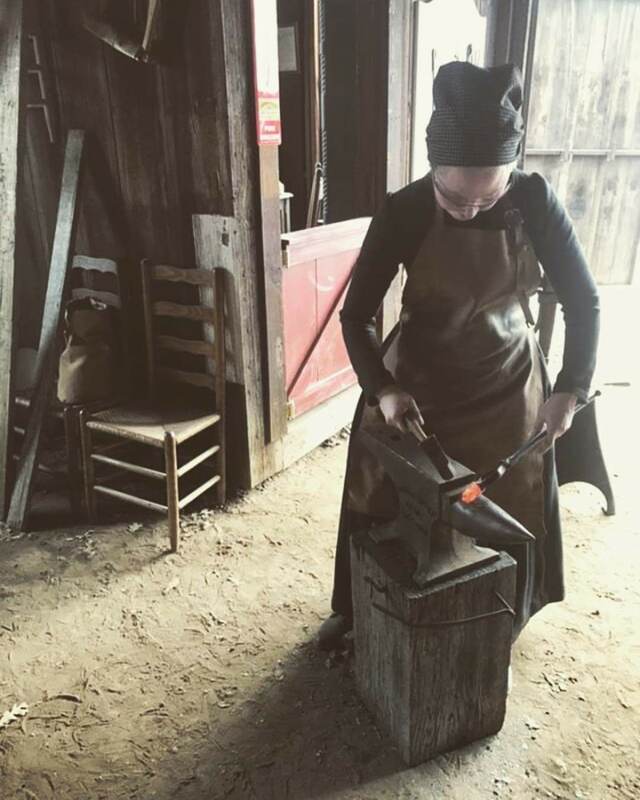 How did you get started in historical costuming as a hobby? Then as a business? What drew you to it initially, and how did you transition from hobby to business? 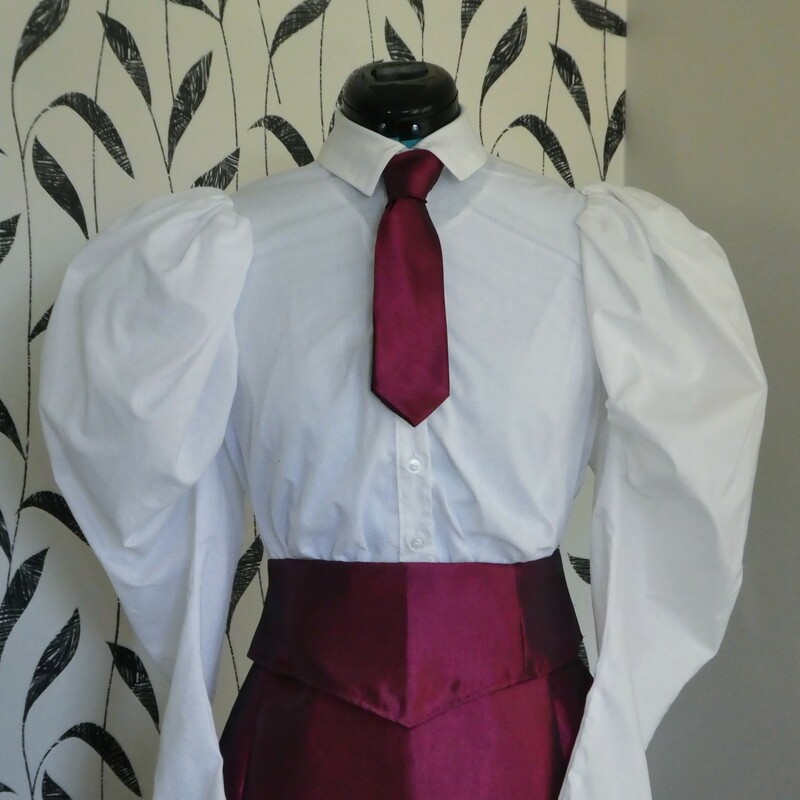 I began dressmaking because there was nothing exciting in the stores to wear for my first ball at University. By my second year, I was taking other students to the fabric store to pick out patterns and fabric, and they paid me £15 ($25) to make their dress. It was no more complex or official a transition into business than that; I always made stuff for others, it was just the price that rose steadily and the paperwork that increased to catch up. As my Mathematics and Education degree went on, I realised that high school classrooms are not the place for someone who's sensitive to stress, noise and crowds. I just wanted to sit in a quiet place and sew. This is when historical costume entered, stage left: it was a movie that changed everything. About the time I was graduating and resolving to go into the bespoke wedding gown industry, I saw the 1995 costume movie Restoration. About two minutes into this clip was a complete gamechanger. I became obsessed with that beautiful wedding scene, so completely captivated by the candlelight, the water, the boats, the music and THAT DRESS that I knew I was never going to make a modern wedding dress. Although my first attempts were dire, I never looked back! Do you still costume for fun? How do you see yourself as a costumer - are you a re-enactor, theatrical costumer, or just-for-fun type? 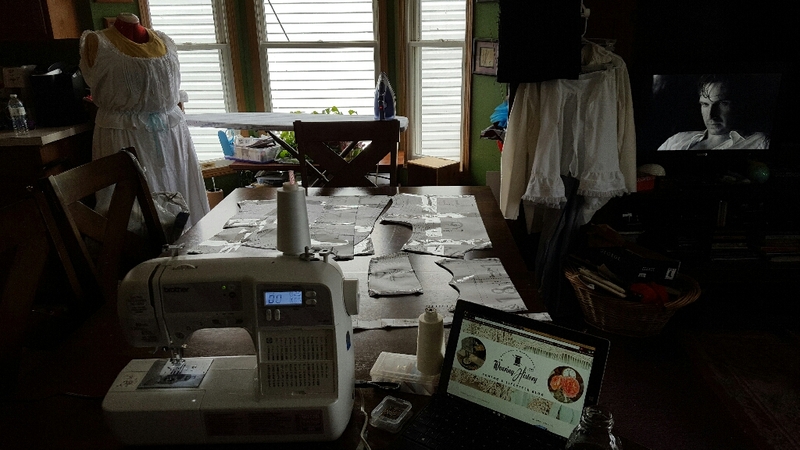 How does costuming for yourself tie into your business now? My sewing lives in a weird place suspended between work and play. I no longer take commissions, so the things I make are usually fitted for myself, but blogging about it seems to have drawn attention both to myself and to my business, so at this point my sewing attracts attention and serves as a form of indirect promotion, on a business level, whilst also being absolutely the product of my own whims. It's work *and* play. 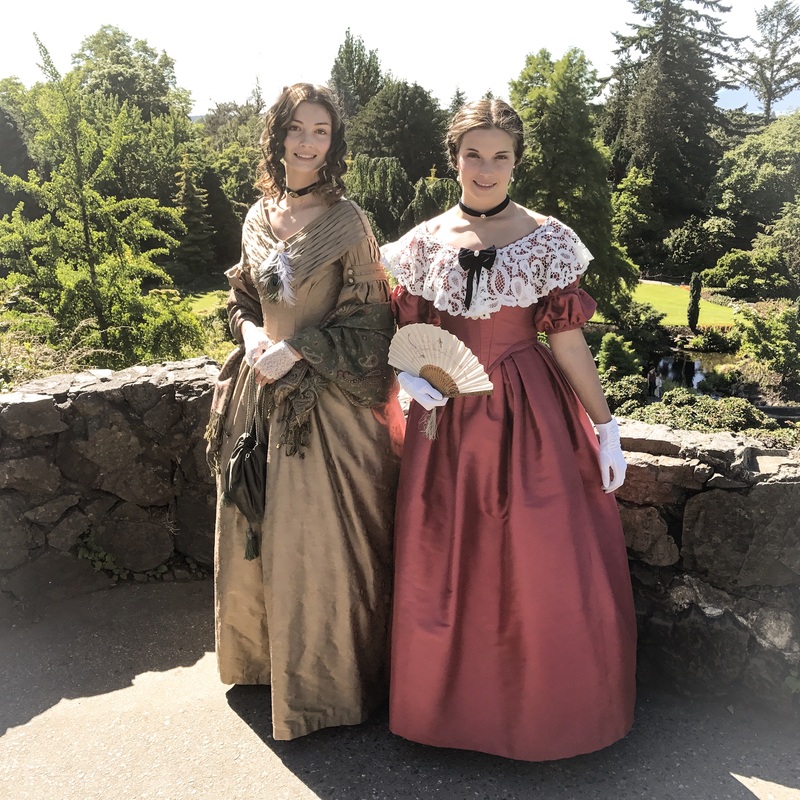 Re-enactor or theatrical costumer? 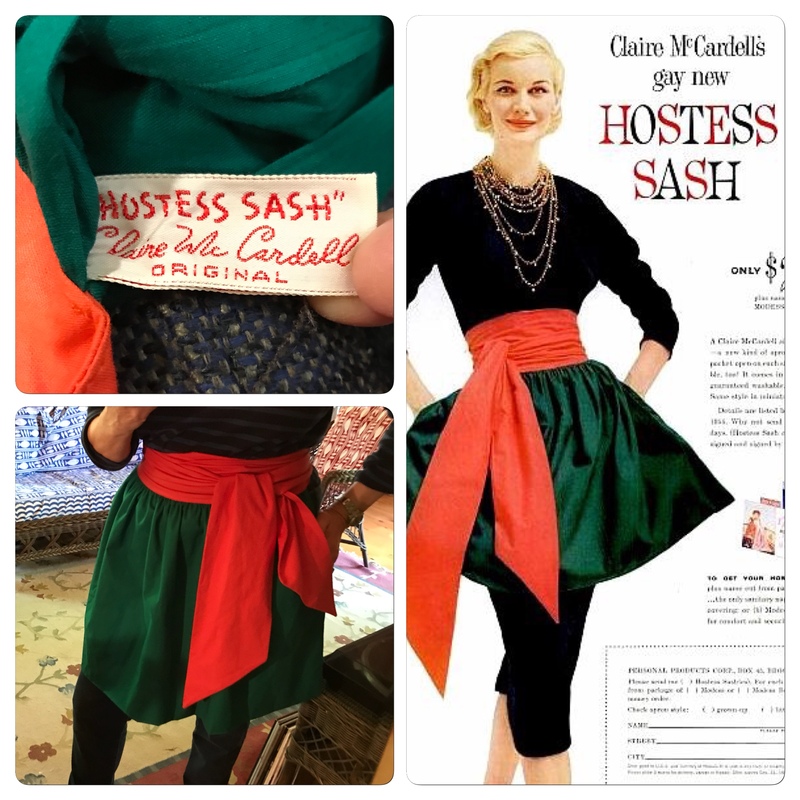 I'm on a journey toward an accurate time travel experience when I'm sewing, so I'm more the re-enactor, but the re-enactment, for me, is what happens when I'm sewing, not what happens when I put the dress on. 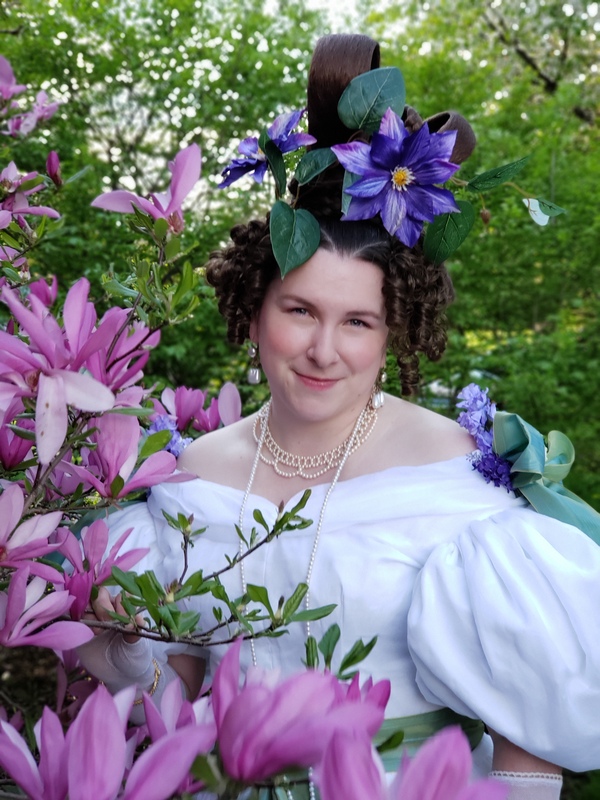 The social whirl that goes with wearing the costume is challenging for me, as a sensitive type who's not at my best amidst noise and overstimulation, so unlike many costumers, I'm not making the dress so that I can wear it. The point, for me, is the pull of needle and thread through fabric. That's where I find the joy, and that's why I tackle such ambitious projects. The more complex and interesting it is to figure out, the more sewing and creating there is, the longer it takes, the more time there is to disappear into "flow" and get lost in the artwork, the happier I become. So at the risk of sounding pretentious, I'd call myself a costume artist, for want of a better term. 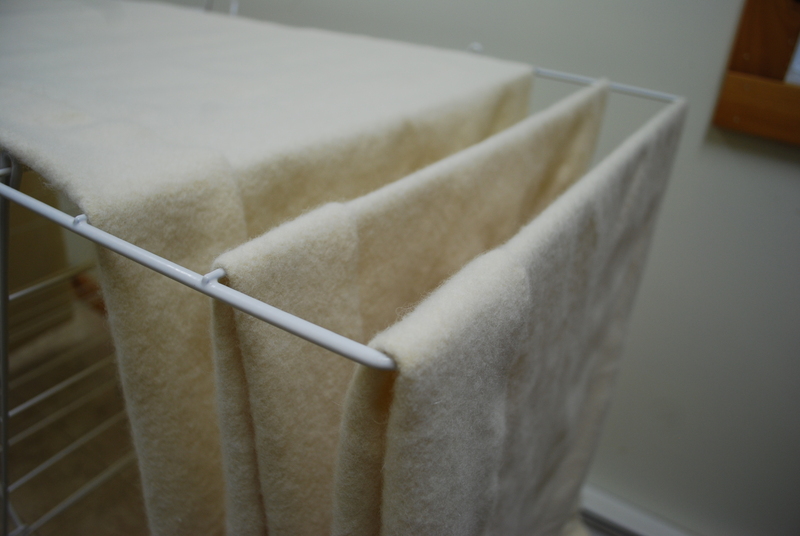 What is your favorite garment to sew? What has been the most challenging project you've made? The most challenging project was the 1908 dinner dress that I made last year, primarily because of the LACK of precision. Much of it was draped, by necessity; when I got past the basic underbodice, I could not get it right by measuring and counting. That left me high and dry without the mathematical safety net that forms my comfort zone. I should add that one of the most interesting things about we costumers is that despite the fact that we are all engaging in the same hobby, we are all going about it in vastly different ways and for entirely different reasons. Some can drape but loathe having to count and measure, some are the opposite; some see the sewing as a necessary evil on the way to a new outfit, others enjoy the making, and quietly steel ourselves for the crowd and the noise at the end of it. Throwing something together quickly for an event, however convincingly, is overwhelming, stressful and ultimately unsatisfying to me - although I enormously envy those who can do it. Obviously the drawback of my approach is a much reduced output, but I strive for the few products of my labour to be sufficiently spectacular and memorable to make up for the lack of quantity! What is your process for developing an ensemble? 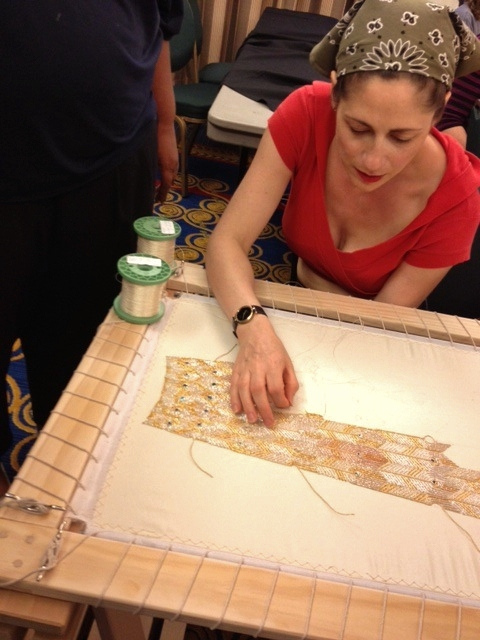 Do you have formal training in fashion, or are you self-taught? My only formal training is a seemingly-unrelated undergraduate degree; the rest is a case of having followed my nose along the path of greatest interest! As for developing an ensemble, I'm not sure I even do that. My approach has been almost scientific so far. Since I have gone beyond using history as general source material for pulling together clients' wedding gown ideas, and really embraced the intricacies of historical costume for its own sake, my approach has been to find an extant outfit that interests me and reverse engineer it. I do deviate, but I try to deviate along plausible lines, such as the way I selected alternative colours for the 1908 gown by studying fashionable colour combinations for that year. I feel as though designing my own costumes to the standard I'd expect of myself can only come after detailed study and recreation of many extant garments, and if that study takes a lifetime, so be it. I'm having too much fun to change my method or consider the end result. Again, the process is everything. Mixed up with the scientist who wants to dissect something fascinating, however, is the romantic who wants to travel through time and talk to the person or people who made it. "How did you do this?" It's not so much a militant striving for accuracy (which would intimidate me) so much as a fascinated need to uncover secrets from the past. If I knowingly do anything different from what they did, the fragile magic slips through my fingers and is lost. How about business - where does your business-mindedness come from? Schooling, or instinct (or both)? Partly from reading about business, getting inside the minds of the successful. I notice what I'm not good at, and try to compensate by noticing how more successful people than I behave. My biggest obstacle is excessive caution, so I need to give myself continual prompts to leap beyond what I previously assumed was possible, in the same way as I do with sewing. Other than that, it's a very conscious process of trial and error. Noticing what's working and what isn't working, refusing to accept the things that aren't working, and adjusting as necessary, whatever it takes. With each screw-up, I learn something that allows me to make further distinctions and refine what I'm doing. The bigger the screw-up, the more I learn. Lather, rinse, repeat until you start to get somewhere! We're all awaiting the debut of the Peacock Dress - can you tell us a little about this project, how you came up with the idea, etc.? 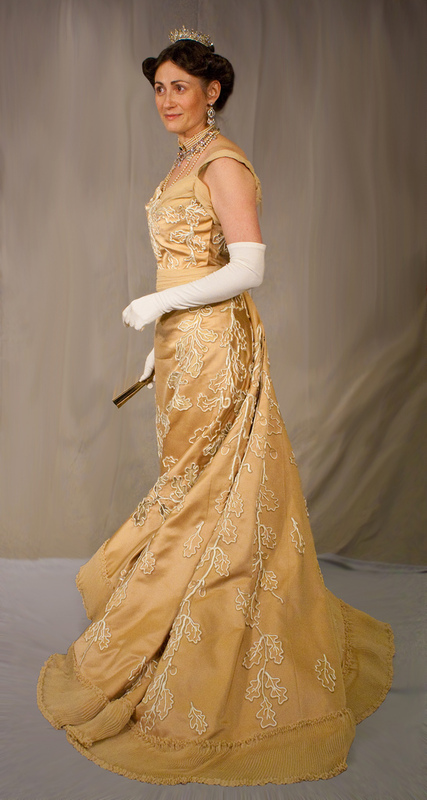 The Peacock Dress is a spectacular gold- and silver-embroidered ceremonial evening gown worn by Lady Mary Curzon, inspiration for Cora Grantham in Downton Abbey and the American wife of Britain's Lord Curzon, Viceroy of India. As Vicereine, she was the highest ranking foreigner ever to have served the British Empire. She wore the dress at the Delhi Durbar Coronation Ball in 1903, after having co-ordinated personally to have it embroidered in India and made up by Worth in Paris. A bystander on the night of the ball commented, "You cannot conceive what a dream she looked," and having designed a dress that would shimmer opulently in electric light with a beetle wing glinting, emerald-like, from the eye of every stylised peacock feather motif, it's not hard to imagine why. In my world, the Peacock Dress began as a joke. When I visited the museum, I would press my nose against the glass case while my companions looked at their watches, and make a crack that recreating this was my next project. Everyone would chuckle nervously, because they weren't ever quite sure whether I was serious or not. 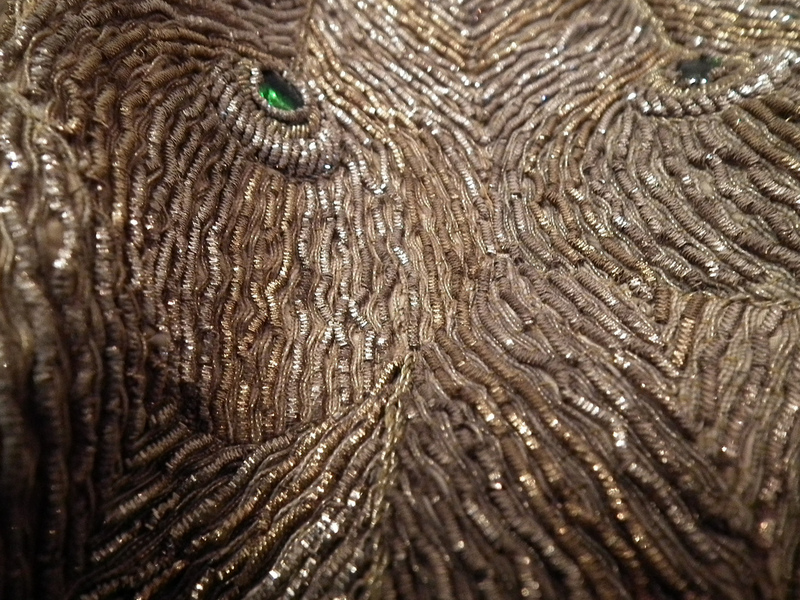 I am known for unreasonable ambition, but the Peacock Dress is a thing of almost insurmountable complexity, covered in embroidery so dense and so intricate that the ground fabric cannot be seen and the seams are invisible. Even to figure out how it was done, let alone to actually recreate it, is a conundrum, so for someone who loves a puzzle, it's irresistible. It's also hellishly expensive and a fool's mission, but after years of dreaming, I finally resolved to do it in response to a charity project. Random Acts were leading an expedition to build a new post-earthquake orphanage in Haiti, and I needed a hook for my fundraising. The Peacock Dress worked like a charm - "send me to Haiti and I'll make the Peacock Dress" - each layer of the outfit represented a fundraising goal - and over two years, I raised $20,000 for the orphanage, plus travel expenses for two trips to the town of Jacmel so that I could help build with my own hands. It was an extraordinary experience. Now, of course, I have to meet my side of the bargain and make the dress, which is turning out to be a long, arduous journey replete with dead ends, false starts, triumphs and tribulations. But if it was done once, it can be done again. Three years into the journey, I'm currently aiming for a debut at Costume College 2015, but between now and then there are still mysteries to be solved, international efforts to co-ordinate, a four-figure sum to muster up from somewhere, and most of all, patience, patience, patience to be found as I realise the vision in a manner spectacular enough to really deliver on that promise that raised so much for Haiti. It's a heck of an adventure, and I deeply appreciate the enthusiasm of the people reading about it on my blog, who continue to believe in me fervently and keep me fired up to complete it. Are there plans for another big costume after the Peacock Dress? I'm trying not to think about that too hard for fear of an attack of Costumer's ADD! I've been asked more than once when I'm going to do the black and white Worth ironwork dress, and I have to confess, it's an intriguing challenge. But the thing that's gnawing at my brain the most is this. The 1908 dinner dress I mentioned above was illustrated in Nancy Bradfield's Costume In Detail . 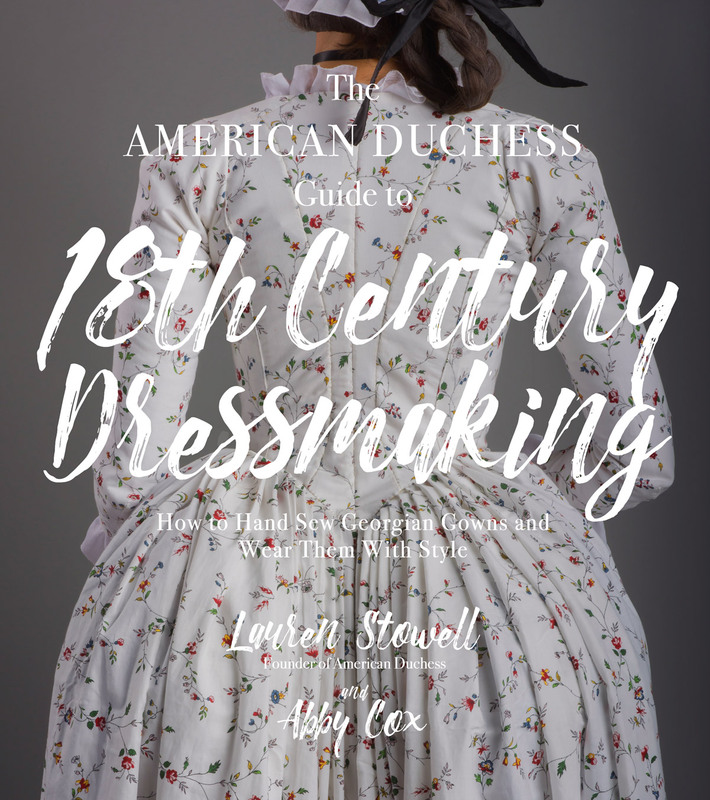 My good friend and Editor at Your Wardrobe Unlock'd and Foundations Revealed, Marion McNealy, then tracked it down for me in a provincial English museum so that I could study it and take a pattern for it, most importantly the basic bodice shape on which the whole gown was built. 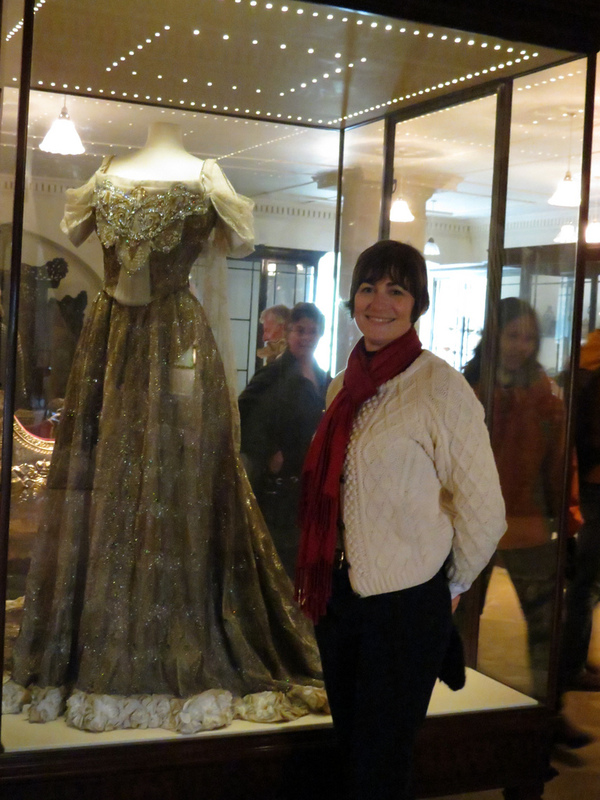 But I couldn't do that, because the interior of the 1908 dress in the museum was too shattered and distorted, and would have required a lot of potentially damaging handling to get a not-very-good approximation of the pattern. Instead, Marion found a 1908 pattern drafting book (honestly, everybody needs a Marion), which contained instructions, handed down directly from 1908, for taking the client's measurements and drawing out a pattern for an identical bodice. And so instead of buying a modern pattern or wrestling a diagram either from Janet Arnold or Norah Waugh or the dress itself to fit me, I just drew out the 1908 bodice in my size, period correct and fitting perfectly, just like that. Ok, so the Edwardian instructions took some effort to decipher, but it came out astoundingly well, AND it came out fitting entirely differently than I'd expect - in a way that showed me all sorts of modern assumptions we've been imposing onto our costumes about how things "should" fit. 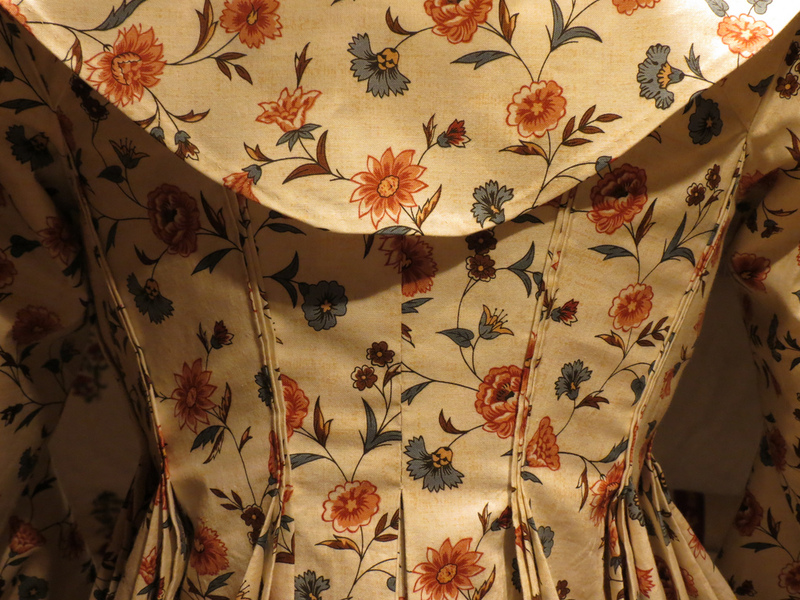 It occurred to me that period makers were not using Janet Arnold or Truly Victorian or taking patterns off other dresses. When we take an existing pattern and then try to wrestle it to fit our own measurements, or drape something that looks reasonably similar to an existing reference point, are we doing things backwards? Is there a better and more accurate way, and how can I explore that? How did THEY do it? Do you have any advice for fellow costumers and crafters who are interested in starting their own businesses? Surround yourself with supporters, and particularly with the influence of people who have been there. Read books by people who've done it. Create for yourself a world where it can be done, because the self-belief and the confidence to take action - and keep on taking action - are the most challenging obstacles you'll meet. Everything else is a detail! All photos from this post can be found here. Fascinating! Thank you for sharing this very revealing interview. What an inspiration. I too love 'the pull of the needle and thread through fabric'. The journey is as important as the destination, as people far wiser than me have said. Thank you for this great read! It is inspiring. As I struggle, yes, Cathy and Lauren I am still struggling with my direction of where I want to take my creativity, I keep reading (great suggestion Cathy) and I keep asking questions of my creative community. I have a lot on my plate with caring for elderly parents, full time job and all but I feel like interviews like this help me see that all things are possible. That one's heart can take a leap of faith in one's talents and dreams. Thank you so much for sharing. So that's the peacock dress lady! Her work is incredible. 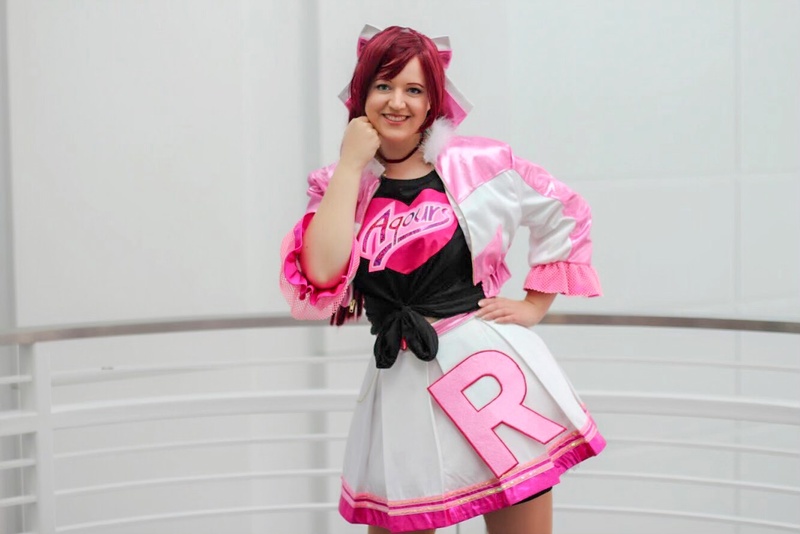 What is Costume College, and where can I find more information on attending?